Aston Martin is in sedan making since years, it began its journey back in 1961 with Lagonda Rapide. However after 15 years entered Lagonda which made its way till 1990 and after two decades of hard work company released a spiritual successor to Lagonda named Rapide. 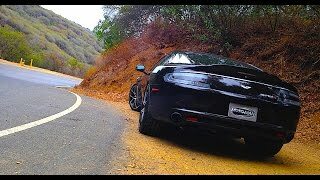 With moving time Aston Martin showed commendable growth and kept the legacy alive by delivering best asked by time and here we are finally in the year 2015, after 5 years with more modification, power and features in all new Aston Martin Rapide S 2015. Keep scrolling down to know more about this in detail. Interior of Aston Martin Rapide S 2015 is undoubtedly luxurious piece of work with sports oriented features but making it more special and personalized are its packages. For Aston Martin Rapide S 2015, company is offering its customers some new leather trim color options. The new list includes two-tone leather seat featuring Sahara Tan and Vibrant Red, Another one in this list adds to the classic touch with its blue-black Dark Knight and Fadango Pink finishing. 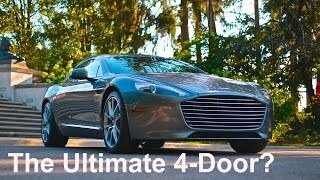 The customization packages offered by Aston Martin have always been ‘point of interest’ for its buyers, reason being this turns to be the way they can make their Aston Martin Rapide S look more personalized and thus close to them. Exterior of Aston Martin Rapide S carries some from its predecessor and few are new for the model. Talking about those carried forward first, it includes bonnet, grille and bumper. However the modification though is less but adds commendably to the looks of Aston Martin Rapide S 2015. Topping the notch is new set of forged alloy wheels featuring ten-spoke design and as Aston Martin tradition, company avails you option to chose the finishing you like your Aston Martin rollers to carry. 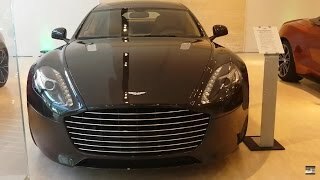 Another upgrade is in form of exterior color of Aston Martin Rapide S 2015. Selection queue now includes Diavolo Red, yes the same which previously was very limited for the buyers. 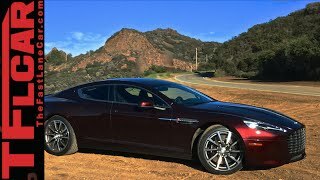 Aston Martin Rapide S 2015 gets its power through same 5.9 Liter V12 engine however the total output increases to 552 hp and peak torque now is 630 nm. The slight difference when gets accompanied by the all new Touchtronic III eight-speed automatic transmission, performance figures will sure surprise you. The Aston Martin Rapide S 2015 now touches 62 mph from standstill in just 4.4 seconds while the top speed stands at 200 mph.